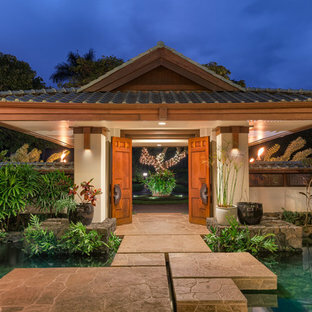 Whether you want inspiration for planning a tropical entryway remodel or are building a designer entryway from scratch, Houzz has 1,799 pictures from the best designers, decorators, and architects in the country, including Style Savvy Designs and KBF by Audi Contractors. 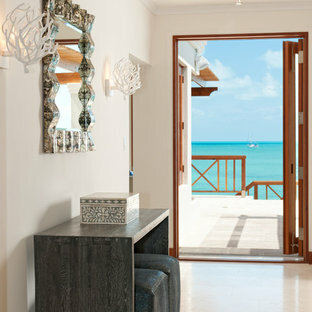 Look through tropical photos in different colors and styles and when you find a design that inspires you, save it to an Ideabook or contact the Pro who made it happen to see what kind of tropical entryway design ideas they have for your home. 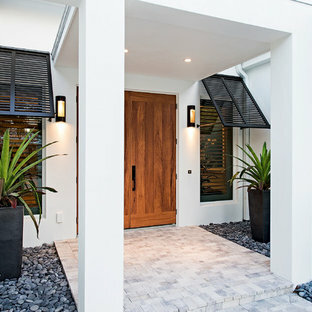 Explore the beautiful tropical entryway ideas photo gallery and find out exactly why Houzz is the best experience for home renovation and design. 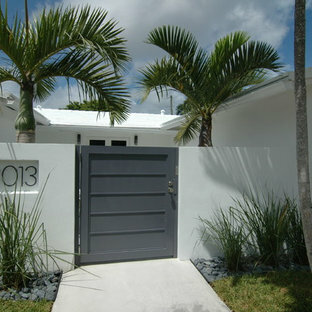 Front Entry: 41 West Coastal Retreat Series reveals creative, fresh ideas, for a new look to define the casual beach lifestyle of Naples. 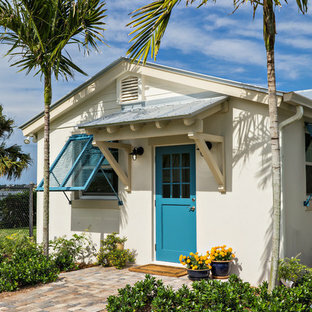 More than a dozen custom variations and sizes are available to be built on your lot. From this spacious 3,000 square foot, 3 bedroom model, to larger 4 and 5 bedroom versions ranging from 3,500 - 10,000 square feet, including guest house options. We supplied the 2 planters (rather "cachepots") holding the elephant ears for this Southern Californian craftsman style beach home. 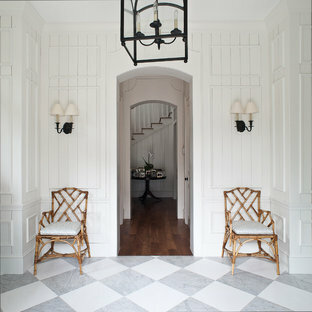 By Eric Watson Architect, P.A.